It's a harsh world of desert, dust, and sadness. the blood vultures and water poachers will. You're the last survivor of the town of Prospect. You must make it back to civilization. 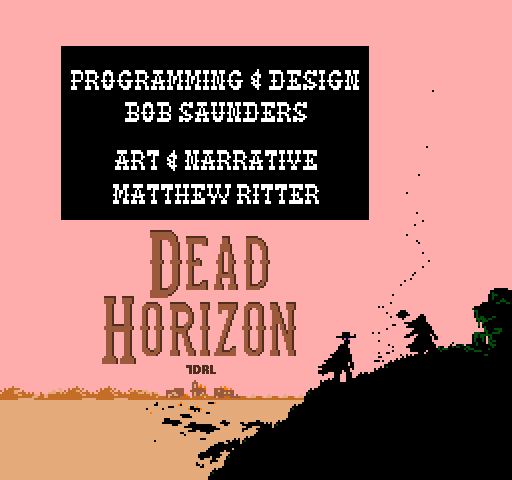 Dead Horizons 7DRL was created in 168 hours, March 5th-12th 2017 as part of the annual Seven Day Rogue Like game jam. Dead Horizons 7DRL is a true rogue-like with a sci-fi western feel and cover-based shooter mechanics. It is set on an alien planet where water is scarce and the dust erodes technology. It tells the prequel story to a much larger game. Hey! out of you 158 people who have downloaded this game so far, could some of you please leave some comments?! The box shot looks promising but the game graphics rather disappoint. The log on the right (notice a scorpion) is too jammed together. You have to look carefully to see new events show up as they are not line seperated and a time indication for each message is missing.